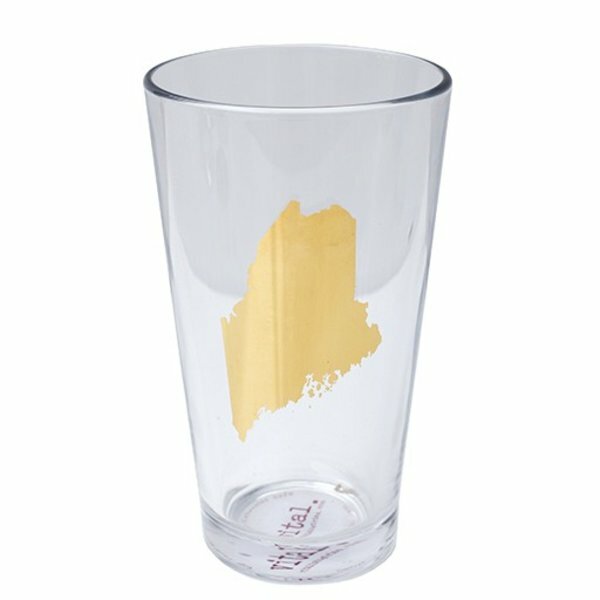 These Maine State pint glasses are a great way to represent Vacationland. Custom made for Daytrip Society and ready to be filled with your favorite cold beverage! The gold color is truly metallic– much shinier in person than in this photo! Holds 16oz.